Driving is a stressful activity and many people spend hours a day commuting in their cars, the comfortable scent do make your time in the car more enjoyable. Just imagine opening the door of your car after a busy day at work, you’re exhausted and just go home early. You take a deep breath and feel almost instantly relaxed, calm and re-energized. Here well collected most popular essential oil products for use in vehicle. Vent Clip-on freshener isn’t new and it appears for many years. With the essential oil freshener popularization, essential oil vent clip-on diffuser was recognized and loved by vehicle owner with its cost-effective and environment friendly. As the name implies, the diffuser is clipped onto the air vents of car. They are incredibly efficient for use and can last for a long time, as it only released the fragrance when you turn on the air from the vents. If you switch on your AC, it’s even better. The cold air mixed with the distinct scent of essential tends to stay in your car for way longer. The Pendant consisted of essential oil and a cotton rope or something. They prove to be incredibly easy to use because it can easily hanging in the rearview mirror within your vehicle. Thanks to its eco-friendly and fashionable design, it is approved by many car-enthusiasts. It is perfect for those Taxi drivers because it’s lower price. This hanging-on diffuser aren’t that effective at eliminating strong odors in the car. However, you do get to leverage longevity, as the soap chip can last way longer than vent clip-on diffusers. If you aren’t looking to spend lots of money, you can always opt for the classic hanging aroma diffuser. Similar to Vent Clip-on diffuser, essential oil wick is suitable for vehicle owners who are smokers, travel with kids or have pets. This type of air freshener requires the insertion of a wick into the bottle. Once you push the wick to the plastic top, you can place it on your car’s air vents. These products are available in multi or single-scented variants, but emit a fragrance that stays for a long amount of time. It doesn’t fade away easily and offers a lot of longevity. Oil wick air fresheners work best for RVs and large vehicles, especially if you are planning to travel over long distances. I think why so popular were those essential oils diffusers is because its excellent advantages. It can provide beneficial effect without potentially harmful side effects on the driver. The pure natural oils can purify the air in your car, repel mosquitoes and other insects, help clear nasal passages, and improve the quality of your car. In addition, with the help of an essential oil diffuser, you can create your own personalized scents and blends out of several different essential oils that can be accessed online. How to find a good essential oil aromatherapy factory online? With goods freely flowing around the world and countries encouraging exports, but finding good partners is a tricky issue. We’ve become accustomed to search on Google easily and find what we’re looking for in the first few search results. If you are an essential oil aromatherapy wholesaler or exporter, you maybe confused about how to choose a good essential oil aromatherapy factory online? When you searching online, there are too many manufacturers to choose and make you confused. If you want to know how to find a good aromatherapy factory online, keep reading. First of all, you should have some knowledge of essential oil aromatherapy about performance and price on market before Google-searching. Thus makes it easier to bargain with essential oil aromatherapy suppliers without being cheated and saves time and costs. Now that you have a better idea of exactly essential oil diffuser as well as the probable price, where do you begin your search? Here are some tips for you. There are some of free sources online supplier directories. These directories can contain profiles for hundreds or thousands of manufacturers, wholesalers and suppliers. Here are some most popular supplier for both domestic and overseas: Globlesource, Kompass, Alibaba, IndiaMart and so on. Most factories never put all eggs in one basket, like doing business. They not only sign up for these established B2B websites, but also register for new B2C site. You have some places to search such as Amazon, Wish, Ebay and so on. In addition, social media is another good way to look for factories. Now most factories overseas open the fans-pages on Facebook, You can navigate in the search box to find a match that’s best for your business. Other social media such as Ins, Tweet and Pins are excellent resources to seeking for essential oil aromatherapy factory online. Nowadays more and more factory built their own website making people known them readily. You can search them on Google just move your fingers, most of times. If you live in commodities industrial, they even have a retail and wholesale site and you can place the small orders, they also supply by bulk sizes online. You should look for a factory that makes products in the same category as much as possible. Take the essential oil aromatherapy factory for example, If a website both sold reed diffuser and ultrasonic diffuser, that’s must be a trade without doubt. Personally, I love this web-store for the various ranges of different essential oils they have. If interest, it must be fun for perfumery and making your own aroma diffusers. If you have found an essential oil aromatherapy factory or partner online, there are some questions you should verify: Can the factory recommend the chemist of oil? How long does the diffuser run? Are they are a popular brand with good reputation and can be found in offline physical stores such as health food stores or gift shops? How many kinds of oils and their price is worth both value and quality? Email [email protected] to start communicate with the essential oil aromatherapy factory in China. https://carperfumechina.com/wp-content/uploads/2018/04/YLFY-car-perfume-300x138.png 0 0 admin4wh https://carperfumechina.com/wp-content/uploads/2018/04/YLFY-car-perfume-300x138.png admin4wh2018-07-12 08:27:092018-07-11 06:52:31How to find a good essential oil aromatherapy factory online? 5 popular types of essential oil diffusers online ? Essential oil diffuser is a simple device that can fill a room with beautiful smells. Essential oil diffusing allows you to enjoy the aromatic benefits of essential oils in a safe and beneficial method for your entire family. The study of essential oils is interesting and valuable. The quality and effectiveness of your aromatherapy is in direct proportion with the quality of your essential oils and your method of dispersion. Scented candles are one of life’s little luxuries. But as the simple appeal of beautiful scented candles catches on, the availability of the kinds, colors and fragrances expands. And, while that is great news for the discerning consumer, it can actually make buying candles and choosing the right scent quite difficult especially if you’re buying scented candles online. Unlike a candle, reed diffuser work really well in places where you always want it to smell nice but can’t keep an eye on it. Place it at bedroom, you always smell nice but you can’t always keep an eye on a candle which is dangerous when running out. This type of diffuser is made using a small container filled with essential oil. Reeds or other porous sticks are placed in the oil to draw it up so that it can evaporate into the air. This is a subtle and especially effective way of dispersing essential oils. Reed oil diffusers are handy for small spaces especially bedroom. Ultrasonic diffuser, using ultrasonic waves to make water essential oils disperse and also increase humidity to the air. This type of diffuser and humidifier works by sending electronic frequencies and vibrations through water to create a vapor that contains essential oils. Ultrasonic diffusers are best for diffusing essential oils because they do not utilize heat in the production of vapor. Since heat can have a negative effect on essential oils, ultrasonic diffusers are the best way to get the full benefit of diffusing essential oils. 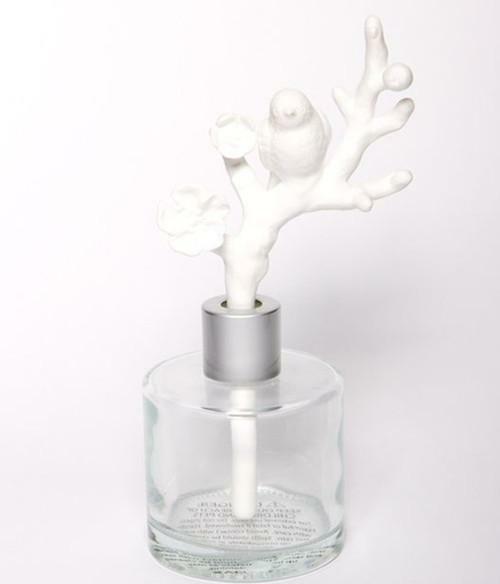 Fragrance lamps are an effective and efficient way of filling a home with subtle scents. Operating on the process of catalytic combustion, the lamps purify the air by destroying odor molecules, eliminating bacteria and germs, and increasing oxygen levels. Diffuser lamp is an easy way to instantly refresh a room and can be reused time and time again. Unlike essential oil candles and diffusers, diffuser lamps do not mask an odor, but actively purify, cleanse and perfume the air. As for which one is better, It truly depends on what your purpose for diffusing, and the area you want to fill with aromatic molecules. 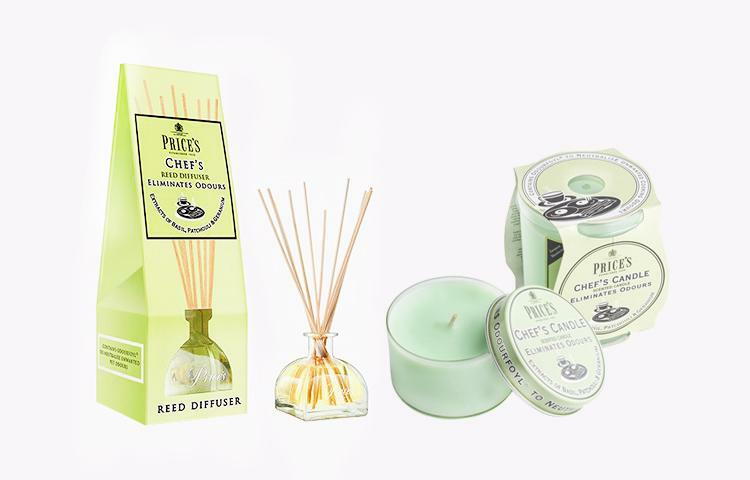 If you won’t spend lots of money, you can always opt for the classic candles and reed diffuser. These are affordable and easy to use. They might wear out quickly, but keep giving off a scent after every short period. For long-term solutions, ultrasonic diffuser and fragrance diffusing lamps are modern and effective and need with no extra maintenance. https://carperfumechina.com/wp-content/uploads/2018/04/YLFY-car-perfume-300x138.png 0 0 admin4wh https://carperfumechina.com/wp-content/uploads/2018/04/YLFY-car-perfume-300x138.png admin4wh2018-07-12 06:26:292018-07-11 06:26:575 popular types of essential oil diffusers online ? What are the advantages of essential oil aromatherapy? Did you know? Essential oils have been used for thousands of years, from cultures as far-reaching as ancient Egypt and Roma, by then they are royal or noble tribute and average civilian can’t afford. Aromatherapy is the practice of using essential oils, nowadays you can buy kinds of available essential oil aromatherapy in market or online. The oils have been used for a variety of purposes, from spiritual to medicinal and a number of very real and quantifiable ways. Take home for example, from the table to the bathroom, more aromatherapy products made of essential oils can be found, the price of aromatherapy oil diffuser is also different form each other. The aromas produced from pure natural essential oils affect our both physical and emotional state. The results surprised the researchers themselves because they found that odor affect both the mood of the driver and his actions behind the wheel. Suitable smells help drivers to react faster to the dangers that may arise in and help in concentration. Some of them can bring down your stress level. There are some substances that do increase your mental alertness and concentration. Home is a place for shelter and storing your precious things. If you used essential oil aromatherapy at home, you need to make sure they are beneficial effect without potentially harmful side effects on the people. The sweet aroma diffuser not only brings unique taste to each home, it is the display of the character and style of master. There are a significant number of modern scientific studies that support the theory that some oils like lavender, chamomile can help create a more balanced sleep schedule, they rally be beneficial in relaxation and stress reduces. They also have wide ranging physical and mental effects on us while you are having a pleasant driving experience. Things like air fresheners or a car deodorizer can make your vehicle a much better place. Your car can finally smell of your favorite scent, making the ride enjoyable for both you and your passengers. They can not only help you have a pleasant driving experience but can make it safer for you and others. Compared with cheap synthetic chemical essential oil, natural essential oil has its unique advantages. It has no harmful side effects on the human body and is suitable for anyone almost. Because it’s produced from pure plants and can promote psychological health and physical well-being. Some essential oil has been proven effective in raising energy and boosting memory capacity increasing circulation and stimulating the mind. Maybe essential oil aromatherapy is not as pretty as some of the other diffusers such as ultrasonic diffuser but it also doesn’t break down your essential oils and ruin the benefits. As more and more people search for alternatives to traditional aromatherapy, essential oil aromatherapy is rapidly getting more popular. https://carperfumechina.com/wp-content/uploads/2018/04/YLFY-car-perfume-300x138.png 0 0 admin4wh https://carperfumechina.com/wp-content/uploads/2018/04/YLFY-car-perfume-300x138.png admin4wh2018-07-11 07:24:192018-07-11 07:24:19What are the advantages of essential oil aromatherapy? What’s the pros and cons of essential oil diffuser? Essential Oil Diffuser, also known as aromatherapy diffusers, which is the process of dispersing essential oils so that their aroma fills a room or an area with the natural fragrance. Nowadays almost every home have an essential oil diffuser, not only can the oils make a room smell heavenly without chemical ingredients that can harm your health, but they can actually benefit the body and mind. From the simple to the elaborate, many different methods exist for diffusing essential oils into a room. There are several different types of essential oil devices making air comfort on the market. Last article we discussed several types of essential oil diffuser suitable for using at home, today will learn about their pros and cons for your reference, any interest, keep reading on. From the point of view diffuser whether to use power, essential oil diffusers can be divided into two categories, one which require no power, such as reed aromatherapy diffuser and scented candles, the other kind of diffuser machine are those rely on electricity to work such as heating diffusers, evaporative diffuser, ultrasonic diffusers, ventilating diffusers. For those diffusers require no electricity, reed diffuser and scented candle are environmental friendly and economically, but they need be treated carefully, especially for use of scented candles, when burn dawn, you need to snuff out it and keep it safely and avoid the ignition source. You can buy a lot of available essential oil candles or reed diffuser in market or online. From the kitchen to the bathroom, they are suitable and can be placed everywhere. On the other hand, the price of essential oil candles and reed diffusers are effective and cheaper than that need power. But for those diffuser use no fire, they can be easy advanced controls and has more safety in use process. Take the diffuser machine for example, what you need just plug in and turn on the switch, look! dummy operation is it? In recent years, MUJI ultrasonic diffusers have been received many well review with the natural design and intelligent operating interface. you can even set some parameters for a better aroma experience such as run time, rest time, output pressure, there’s also a “silencer” if you can’t stand the noise. Set “Run Time” to how long you want the diffuser to run before it rests. The “Rest Time” was set to how long you want the diffuser to rest before it runs. “Output pressure” was set to control the volume that the machine puts into the air. The ‘run’ and ‘rest’ time will go back and forth until the diffuser is turned off. Intelligence is the development trend of essential oil diffuser. It not only brings better fragrance experience to modern people, but also saves time greatly. As for which one is better, that depend on your choice. If you’re a retro lover and don’t want these modern products to change your lifestyle, try scented candles or reed aromatherapy diffuser! https://carperfumechina.com/wp-content/uploads/2018/04/YLFY-car-perfume-300x138.png 0 0 admin4wh https://carperfumechina.com/wp-content/uploads/2018/04/YLFY-car-perfume-300x138.png admin4wh2018-07-11 06:25:152018-07-11 06:25:15What’s the pros and cons of essential oil diffuser? How to choose the best reed aroma diffuser? Reed Diffuser, referred as “cane aromatherapy” or “no-fire aroma wick”, is an environmental friendly air refresher. This diffuser is made using a small container filled with essential oil. Some people think most of them make no difference in essence actually, that I bought one casually without choice and put it on the table in my room, It will work. In fact, every reed aroma diffuser from different factories and brands are quite different. Here are some tips on how to choose the best reed aroma diffuser whether you are in the market or online? Skip any oil brands that include “fragrance oil”, “perfume oil”,or “mineral oil”. Also, Essential oils should come in small, dark bottles. Be wary of any that come in clear bottles since exposure to sunlight can damage the oil. Finally, avoid bottle that come with a rubber dropper. Some oils can degrade the dropper, leading the rubber contaminate the oil. When the essential oil has been chosen, begin by using a few drops of essential oil in the bottle until you have a better sense of how much oil you need. Then dip one end of the reed into the bottle, it will absorb enough essential oil after few minutes, then put the other end into the bottle and place it where you want to. The materials used for reed diffuser wicks have also been targeted to ensure they comply with the current demand for clean home fragrances. Reed, carbon fiber and wood charcoal wicks maintain even burning every time they are lit. It is necessary to replace the cane regularly. It is generally recommended to replace the cane once every 1-3 months. 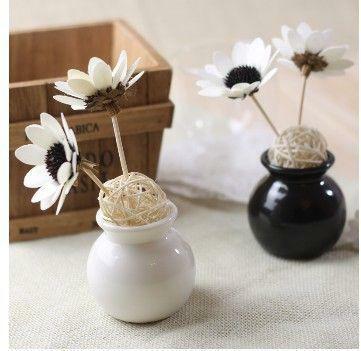 Nowadays atificial flower diffusers became one of fabulously original ideas. Put the end of path in the glass bottle or a quick spritz on the petals making it into a hassle-free decorative fragrance option for your home. Reeds or other porous wicks placed in the oil to draw it up so that it can evaporate into the air, this type of diffuser is a subtle and effective way of dispersing essential oils. https://carperfumechina.com/wp-content/uploads/2018/04/YLFY-car-perfume-300x138.png 0 0 admin4wh https://carperfumechina.com/wp-content/uploads/2018/04/YLFY-car-perfume-300x138.png admin4wh2018-07-11 06:22:392018-07-11 06:23:12How to choose the best reed aroma diffuser? How long should you replace the reed sticks of the fragrance diffuser? 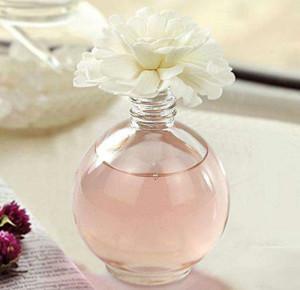 Fragrance diffuser is one of the best way to freshen up your home especially the reed diffuser. They require pretty much zero maintenance or remembering to do anything, besides maybe refilling the bottle every couple of months. If you keep the fragrance diffuser at home and planned to replace the sticks, keep reading. 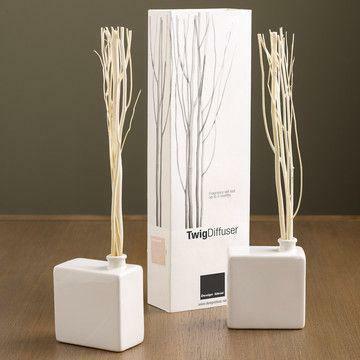 Diffusers are just like candles, the larger the diffuser, the greater the fragrance so these will work well in big rooms. Sticks get dusty and clogged over time and lose efficiency. As long as once the stick is becoming saturated and will be blocked, reducing the ability of their adsorption and sweet smelling. A sticks used for too long will block the transmission of pure scent. When you change the reeds and flip all of the reeds on all of your diffusers before leaving for vacation. When you return home you’ll be welcomed by an inviting fragrance rather than a stale, stuffy home. Flip the reeds for more fragrance. You can flip a few reeds every few days or all the reeds everyday. Keep in mind the more reeds you flip and the more often you flip them, the faster the fragrance oil will evaporate. Generally, it is best to replace the reed two to three months. 30ml of essential oil can last about one month, so a reed fragrance diffuser can last about 3-5 months. You can also choose the number of sticks according to the size of the room. In addition, the frequency of replacement is related to the number of reed. Smaller diffusers work well in smaller spaces like powder rooms and small bedroom. Some diffusers are packaged with the cotton rope and cane in the vessel. If that is the case, simply remove the old reeds and insert the new ones. Large space(like sitting room) need 4~5 reed stick but 2-3 is enough for bathroom. Finally, how long did you replace the reed sticks, that depend on the concentration you like. If you want to buy a fragrance reed diffuser. It’s better to start with new reed than old reeds. Not all reeds are the same. Manufacturers select the optimum reeds for their oil so it’s best to stick with the same brand. www.carperfumechina.com is dedicated to using materials and ingredients that are safe for both body and the environment. Our reed diffuser set features an earth-friendly recycled glass vessel, reusable wood veneer packaging, and all-natural fragrances made from guiltless ingredients. Choose the right size diffuser for your room from us! https://carperfumechina.com/wp-content/uploads/2018/04/YLFY-car-perfume-300x138.png 0 0 admin4wh https://carperfumechina.com/wp-content/uploads/2018/04/YLFY-car-perfume-300x138.png admin4wh2018-06-07 12:57:382018-06-07 12:57:38How long should you replace the reed sticks of the fragrance diffuser? Reed diffusers are great choices to add constant fragrance to your home. Reed diffuser is mainly absorbed by stick’s ends and send out into the air through good-water and oil absorption as well as the volatile medium, such as cotton, cane, strip, rattan, etc., By increasing or decreasing the number of sticks, the aroma can be adjusted to be strong and weak. More sticks, the stronger and less stick, the subtle. However, the number of the stick will faster the speed of volatile oil. Nowadays reed diffuser has developed many different types and shapes. Upgraded “reeds” have more beautiful shapes and more diverse materials. 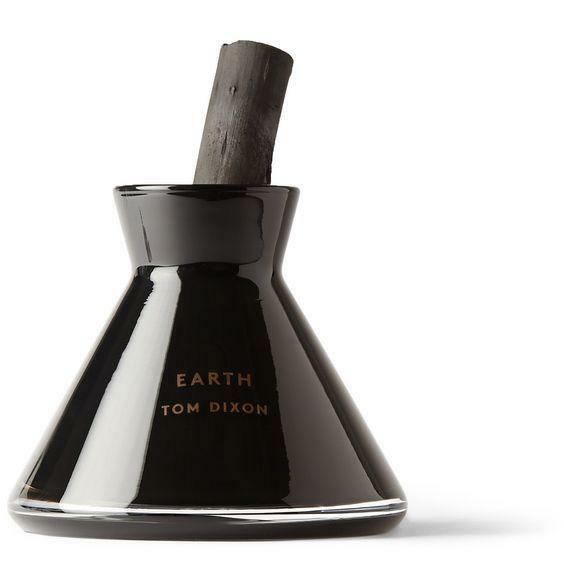 Today, we’ll take a look at the latest and most fashionable reed diffuser. In fact,no matter what material or shape, the principle of they work is the same. Now make your own diffuser with a container and some sticks you have at home. Any small, non-porous container with a narrow opening (like a small wine bottle) will work well. Why the scents of my reed diffuser has gone? Because of it! Reed diffuser is not just the aesthetic work of art, but fragrance and highly designed objects in their own right. They use wooden sticks or reeds to pull the fragrance oils from the bottom of the bottle to the top of the reed, where the scent then evaporates into the air. Unlike candles or electric diffuser, reed diffusers don’t require any flames, plugs, or batteries. I often get feedback from my clients. Why does the reed diffuser I bought smell mo smell? Today let www.carperfumechina.com tell you that’s why? As we all know, each natural essential oil has its own unique fragrance.The scent we smell comes from the volatile matter of oil particles released into the air, captured by our nose and stimulated by the smell nerve. People’s sense of smell is very complex and sensitive, the same smell, different people have different olfactory nerve reaction. At the same time, People’s sense of smell is highly adaptable and they will have a dependent reaction to the same smell for a long time. Once adapted to the presence of a certain smell, the olfactory nerve will also become accustomed to the presence of the smell and reduce the neural response. This make us fell the scents subdued after a period of time that the sweet atmosphere is not as fragrant as at the beginning. That is not because the diffuser had no fragrant, not because the nose had a problem, just the smell’s sense adapted to this kind of fresh flavor. Solution: Buy 2-3 kinds of different aromatherapy reed diffuser and use them alternately or change the position that diffuser puts regularly, so olfactory can be sensitive rise again to feel rich clear fragrance! Generally, there are two kinds of sticks used in the diffuser on the market , one is fiber, the other of reed. Reeds get dusty and clogged over time and lose efficiency. No matter which one, once the stick is becoming saturated and will be blocked, reducing the ability of their adsorption and sweet smelling. A sticks used for too long will block the transmission of pure scent. Solution: it is necessary to replace the cane regularly. It is generally recommended to replace the cane once every 1-3 months. In fact, the aroma will spread throughout the room, and when you enter the room you will smell it. Think of the diffuser as a bunch of flowers,when you walk by when you smell it, but it doesn’t necessarily fill the entire room. It is also quite normal to smell within one square meter of the diffuser, but if the room is more than 20 square meters and may not work. Solution: two bottles of reed diffuser are recommended for more than 20 square meters of rooms. https://carperfumechina.com/wp-content/uploads/2018/04/YLFY-car-perfume-300x138.png 0 0 admin4wh https://carperfumechina.com/wp-content/uploads/2018/04/YLFY-car-perfume-300x138.png admin4wh2018-06-07 12:41:362018-06-07 12:41:36Why the scents of my reed diffuser has gone? Because of it! Recently, The royal wedding of Prince Harry and Meghan Markle has put the British royal family back in the headlines! Today we share an aroma candle brand used by the queens: Price’s excuse. Price’s Candle was born in 1830 and was officially established as a royal product for the British royal family in 1840. He was not absent from every royal pomp and banquet and became the largest wax company in the world at that time. Nowadays, he still holds four royal licenses and 114 candle patents. His unique patented technology “Odourfoyl” can clean the air efficiently and reduce the poisonous substance to human body. Each of candles is designed for a specific purpose and is color-coded. Blue is special for removing second-hand smoke, green is special for kitchen, yellow suit to the home having pet, white is “outside the window series”. Secondhand smoke is a nightmare for non-smokers. Price’s blue deodorant series is designed to eliminate smoke. Citrus and clove aromas remove the foul smoke from the air and purify the surrounding air. Take a deep breath of her fresh air and you’ll wake up a lot. What the kitchen fears most is the smell of all kinds of lampblack. Have you found it? Every time you did “heavy taste” dishes, even if turning on the exhaust system, the lampblack will not go away for a long time. Green series, “dispel kitchen peculiar smell” is the good companion that purify kitchen air to lampblack. If you don’t know what to do, look at the sign on the package paper, If it’s a plate and a cup, that’s right. 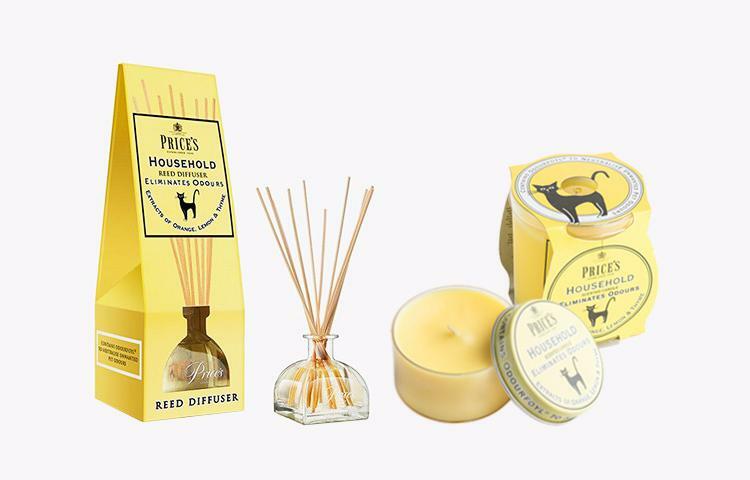 With so many pet owners these days, Price’s pet series is great choice to get rid of pet odors. The series is mainly yellow, and the logo features a cartoon cat that is easy to recognize. Its aroma is a combination of sweet orange, lemon and thyme, which can effectively remove pet odor and sweat stink and make you feel refreshed. If you want to feel the different aroma, you can choose this Price’s window series. The pure white design is clean and comfortable, making you notice it immediately. Blends of Light lilies, elegant violets and citrus flowers make you feel the beauty of nature even at home. Excluding the four functional aromatherapy candles listed above, Price’s also introduced a series of aromatherapy scented candles with two flavors, jasmine and geranium. The design of the glass container is not very different from that of a typical aromatherapy candle but a unique flavors. Today in a consumer-led market where 80% of candle sales are purely decorative, the Price’s Candles company has focused on new ranges of perfumed essential oil candles and aromatherapy products. So if you like it,choose your own royal candles.